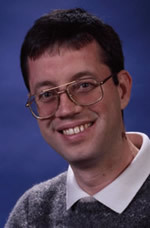 Ion Stoica is a professor in the department of electrical engineering and computer science at UC Berkeley. He received his Ph.D. from Carnegie Mellon University in 2000. He does research on cloud computing and networked computer systems. Past work includes the Dynamic Packet State (DPS), Chord DHT, Internet Indirection Infrastructure (i3), declarative networks, replay-debugging, and multi-layer tracing in distributed systems. His current research focuses on resource management and scheduling for data centers, cluster computing frameworks, and network architectures. He is an ACM fellow and has received numerous awards, including the SIGCOMM Test of Time Award (2011) and the ACM doctoral dissertation award (2001). In 2006, he co-founded Conviva, a startup to commercialize technologies for large scale video distribution.